Barnt Green Scouts began the new year by undertaking a variety of challenges, including learning about business whilst raising funds for charity. To gain their Entrepreneur Badge, they were given a “business loan” of £15 with which to plan and execute a business idea. The aim was to make as much profit as possible, with 50 per cent donated to charity, and they managed to raise £81 for the Acorns Children’s Hospice and British Red Cross Typhoon Haiyan Appeal. “As a troop, the scouts were outstanding in their creative thinking and helped others in the process,” said leader Mark Pumphrey. 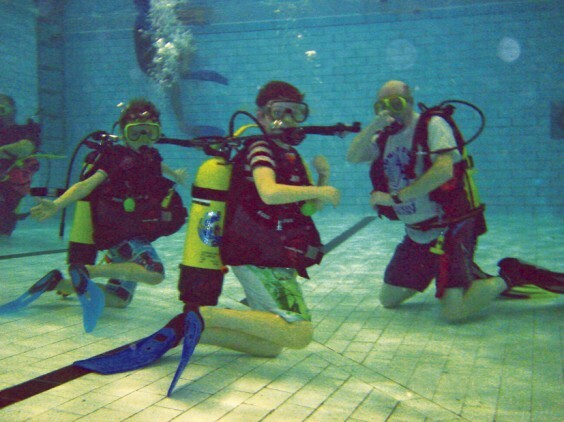 The troop also spent an adventurous evening with the Alpha Diving Club at Smethwick Swimming Baths, learning how to use all the diving equipment safely and how to follow underwater hand commands. Barnt Green Scouts had a Winter Camp under canvas at the end of Februrary, which taught them how to survive in colder weather. Before the camp, the scouts had learned how to look out for and respond to hypothermia, to be prepared in the first place with correct clothing, and to treat a patient showing early signs of this potential killer.